Grab Attention and Keep Hands Busy. 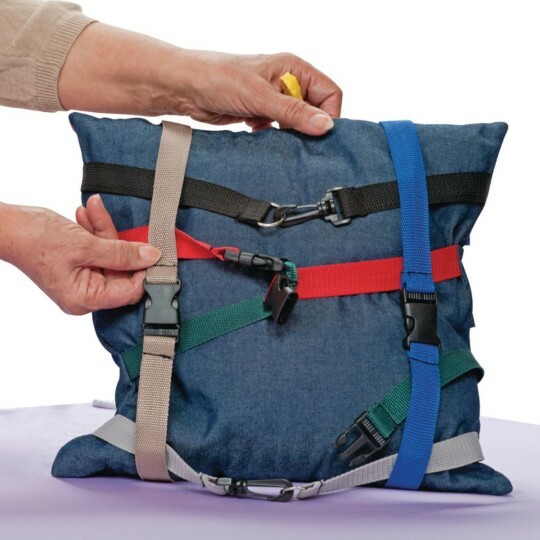 Lacing, buckling and zipping activities. An assortment of fabrics for tactile stimulation. Buttoned pocket, rings to clip favorite items and more! Particularly useful for residents with dementia. 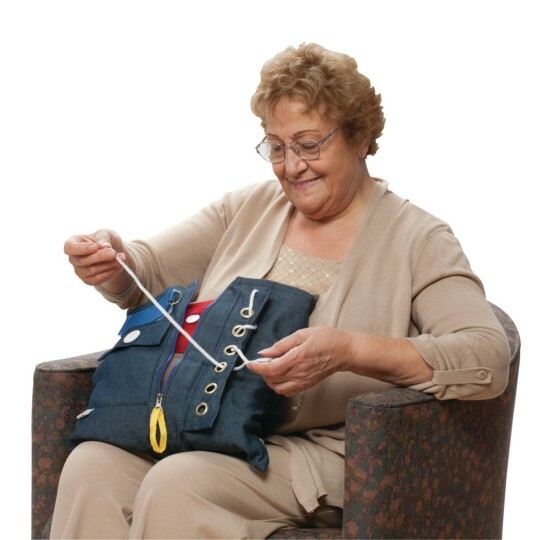 Help keep your residents with dementia busy and focused with this denim activity pillow. 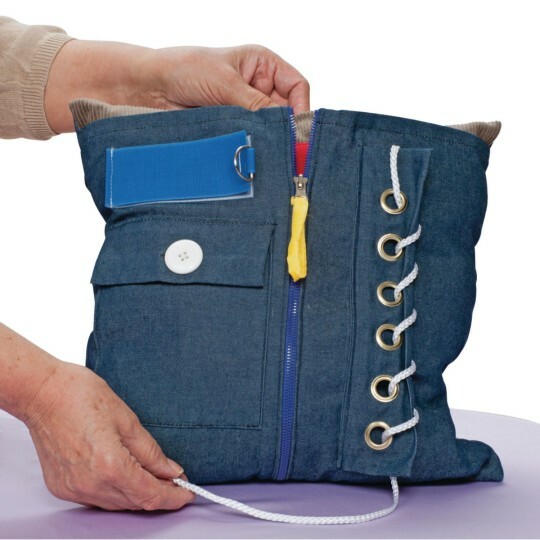 Provides lacing, buckling and zipping activities, an assortment of fabrics for tactile stimulation, a buttoned pocket, and a hook-and-loop strip with a permanently attached ring for clipping favorite items or treasures. 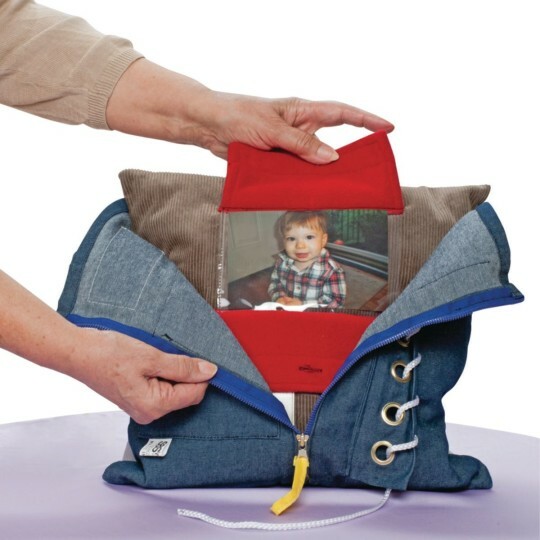 Make the pillow more personal by placing an item or snapshot into the vinyl picture frame. Quality-made 14" square pillow is machine washable. These activity pillows provide hours of activity and motor skills training for our folks. Great for tv time especially for those who can't seem to sit still without something in their hands. They're learning simple skills while keeping busy. 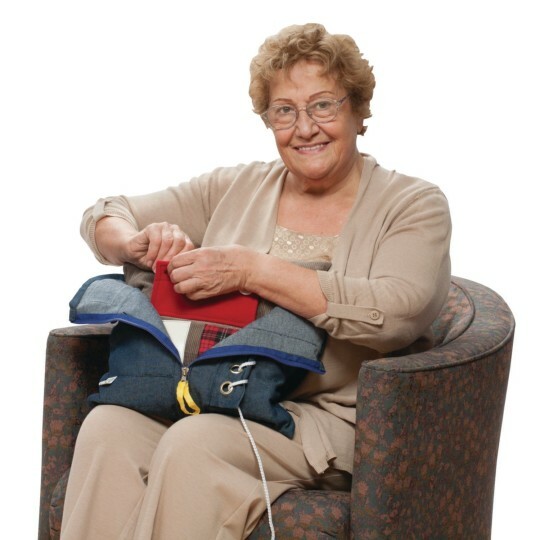 Our residents spend hours with this! Keeps them busy and interested. One of them has ripped and the zippers have broken but our residents are very hard on them I am surprised they are not more torn up!! 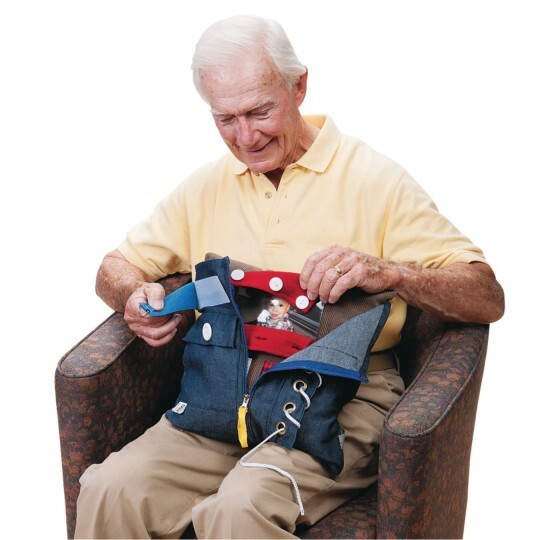 I purchased this activity pillow for my grandfather who has dementia and is living at a Skilled Nursing Facility. He was a carpenter and worked with his hands all his life so He has responded well to the many activities on the pillow. It is lightweight but also very good quality and keeps his attention at length.